Our team of caring and professional podiatrists are able to take you through the whole journey of fixing those painful, and often smelly infected nails. Ingrown nails arise from a nail spike splitting from the nail plate and penetrating the surrounding nail sulcus. 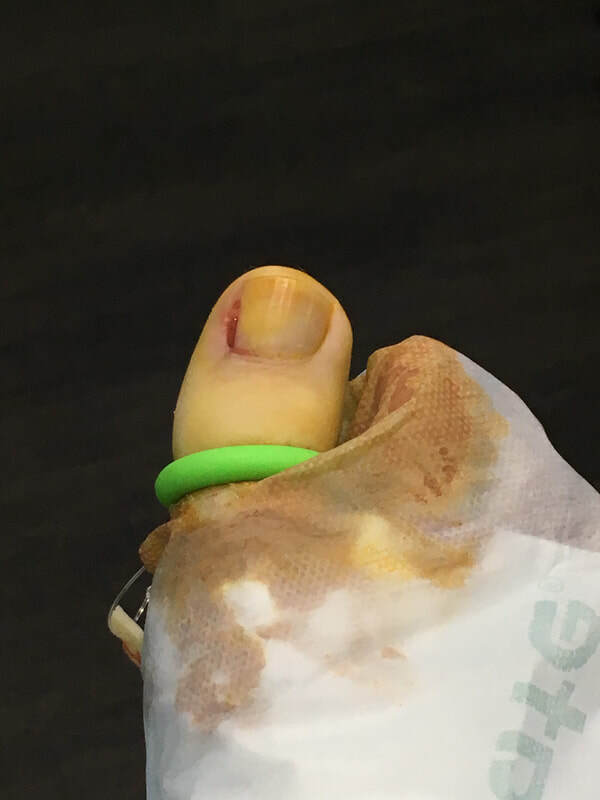 This will initially cause some discomfort however as the nail grows the spike is forced deeper into the nail sulcus which can cause a portal for infection. Now is the time to get those nails treated for good. Book an appointment with one of our podiatrists today.